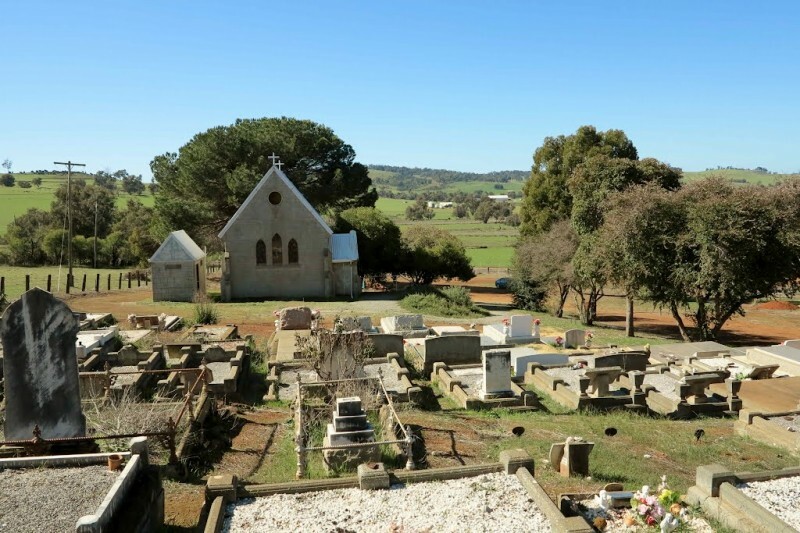 The site of the church and cemetery is located at Marradong, on the Pinjarra Williams Road. The foundation stone of the Church, which is still in excellent condition, was laid by one Mr Arthur Batt on 17th April, 1894 (this was amusing as there were numerous Arthur Batts through the generations). Visitors may enter the church and view the historic jarrah flooring, timber and tin roof and old kerosene lamps (now wired) hanging from the roof trusses. The last service recorded was in September 2012. The cemetery, which is still in use today, sits immediately behind the church and takes in a beautiful view of the surrounding countryside. 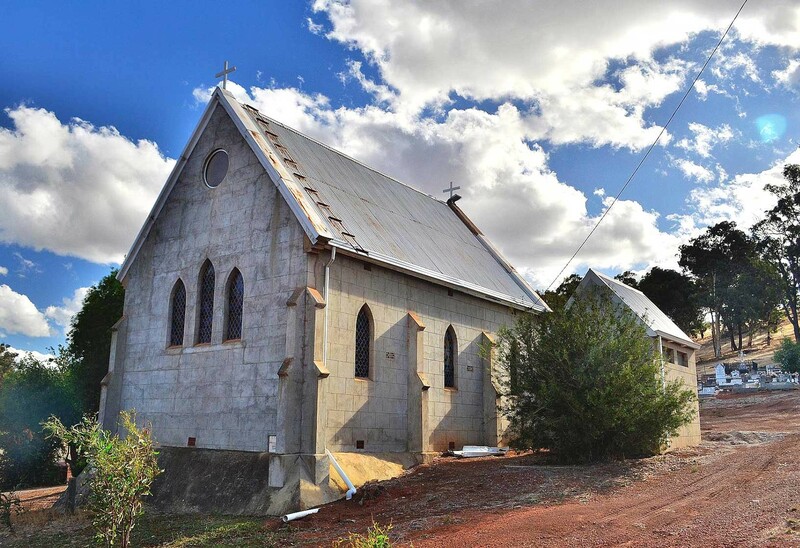 A committee was organised in the late 1890's to build a church in the locality of Marradong. Money was raised by subscription into the committee, along with committee members donating generously. New Years Eve parties at the Marrodong Hall also raised money for the church. The church alter is dedicated to Eustace John Tennant who was a local soldier killed in the First World War. A crocheted lace hangs from the alter made by Em Fireerre. Three generation of local Nichols women have played the organ at St Alban's Church. The church is a relatively small, stone, gothic style building, standing before a small cemetery. The building is a single storey, stained glass windows, jarrah floored church. Inside the church hangs an honour board for local service men for the first and second world wars. The graveyard marks the original settlers of the Marradong and Boddington area.